That cover O__O I simply fell in love with this amazing cover that captured my heart the second I saw it. Not really pleased with what I got in the end as I had high hopes in liking the book despite the low average rating. A book of a sinister ballet school and mysterious disappearances of dancers, Vanessa is accepted into the school of Ballet, not only for dancing purposes, but also in search for her missing sister, Margaret. Then Vanessa meets Zep, dark and enigmatic, he seems to be keeping something from her. But what? I despised the majority of the book, about four fifths of it until the end. Where it was so fast paced and kept me on the edge of my seat. However, for the rest, I found it pretty boring and repetitive, not moving at all. In less than 5 pages upon meeting, Vanessa makes friends with 4 other people. It states around page 15 that she already called them her ‘friends’. Not really authentic enough for moi. The plot was well set out and unravelled. Never would I have wondered about specific people to be involved in such horrible out comes. 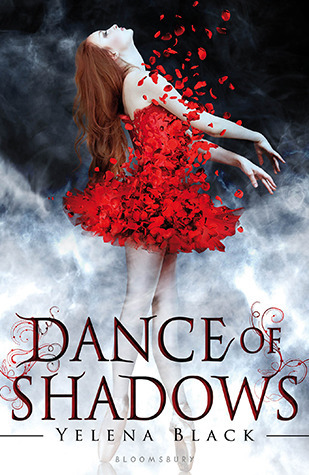 Dance of Shadows may catch you in the eye with its spectacular cover, but found change those taste buds after reading this novel. Insta love, insta friendship and in a way a book adaptation of Black Swan, the movie, it was alright. In the end, I sorta swayed my opinions as the end startled me. I recommend this book to lovers of ballet stories and someone in need for a cryptic, sinister novel. The Marie Duffy Foundation has been established to provide financial assistance to aspiring dancers, musicians and choreographers so they may fulfil their dreams in the world of Irish Dance. For details Check This Out website.